Y'all. 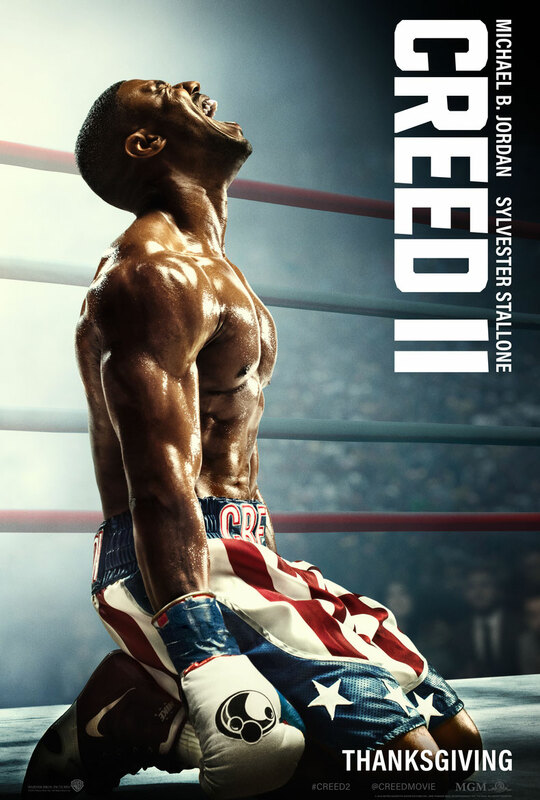 I loved Creed II! Thanks to the wonderful folks at Eden Digital Group, I was able to go to an advanced screening of the movie and it didn't disappoint. All the feels! I mean! As a #boymom, I had so many emotions watching the next chapter of the evolution of young Adonis (they call him Donny ya'll) and his journey to find his place. I could also relate to Bianca, the love of his life as she walks beside him through his struggle to tap into his identity as a man without a father. Grown men still need their fathers. Here's the bottom line, you have to go see it. You'll laugh, you'll tear up for sure, and you'll be thankful you took a little time out to be reminded what the heart of a champion truly looks like.